More accustomed to working on foot, Scouts are untrained horsemen and as such not great fighters on horseback. Scouts wear padded or light mail armour and are equipped with a spear or a large axe. 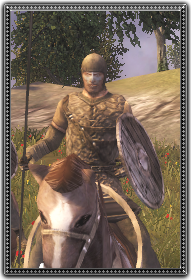 Cheap to recruit and equip, scouts are useful for running down fleeing troops and scattering archers.